We were pleased to hear that a new veterinary practice has opened up in the area. Three Bears Mobile Vets is run by Mike. As the name suggests Mike can visit your pet at home which is very handy for those of us whose pets get stressed out going to the vets, or if arranging transport is difficult. 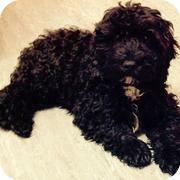 Find out more at https://www.threebearsvets.co.uk or give them a call on 07477873891. Little Dufus was bred for profit. But he was born with a defective heart and his breeder wanted rid of him quick. He was advertised on the internet for £1. Fortunately Dufus found his way to a safe haven with a lady called Jacky. Jacky has arranged for Dufus to have tests. 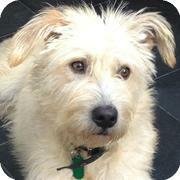 The tests have revealed that Dufus's heart problem can be fixed. If it is fixed he could live a long and happy life. If it is not fixed he will die soon. Fixing Dufus's heart will cost £5,000. Dufus has a fund raising page. He doesn't know anything about his fund raising page. He doesn't know that he will die soon if not enough money is raised for his operation. But like all dogs, if he is given a chance to live, he will make the most of every single minute of his life and bring joy to those around him. Dufus's fund raising page can be found on the Go Fund Me website. The good news is that £4,176 has already been raised. That leaves £824 to go. That is a lot of money. But if 8,240 people saw this news item, and ten percent of them gave one pound, then all the money would be raised. So if you have time please share this request far and wide. Perhaps between us we can find 824 people with £1 to spare. 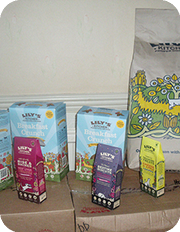 We would like to thank Lily's Kitchen for kindly donating several boxes of their lovely food to Enfield Dog Rescue. It is acts of kindness and generosity like this that keep us all cheerful! 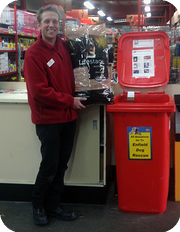 We would like to thank Jollyes of Enfield for putting an Enfield Dog Rescue donation bin near their checkout. We would also like to thank all the very kind Jollyes customers who have already filled the bin up at least once with donations of food, toys, leads and collars for the dogs in our care. In the picture above you can see Phil, manager of the Enfield branch, next to the donation bin. Just a couple of days after setting up our Amazon Wish List we have received a box of Butchers Tripe from an anonymous doner. Thank you for your kindness. We now have an Amazon Wish List. At the moment the list contains requests for essentials like dog food, leads, collars and Kongs. Any donations will be very gratefully received. Viv Levy has written a delightful book inspired by her experiences with dogs. 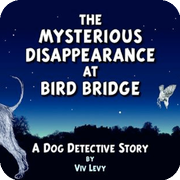 Mysterious Disappearance At Bird Bridge is a tragicomedy laden with mischief and hilarious goings on set solely in the canine world. Two very unlikely heroines, Dot and Elsie, meet all kinds of bizarre characters on their quest including Dogo Argentino, Oberman Doberman, JR the Jack Russell and aristocratic Faye with her magical Glastonbury powers of divination. You can buy a copy of the book at Amazon, or any good bookshop.